Importing and exporting finished and OEM products and materials can be valuable strategies to expand your manufacturing business and spread your risks. About one in four new exporters find success in the global market, and companies that export are more profitable on average than those that depend solely on local revenue, according to the Australian Trade Commission, Austrade. By taking your business offshore, you are exposed to new ideas, management practices and marketing techniques, and this can help improve your ability to compete not only abroad, but also in the domestic market. Both importing and exporting are critical elements in securing the longevity of Australia’s manufacturing industry, rendering them opportunities you can’t afford to ignore. Plus, once you understand some of the basics, the options for expanding your business through global trade are endless. To fully take advantage of foreign trade, researching overseas markets can be a good place to start. This includes finding out about how foreign markets operate, export documentation and foreign currency management. Having this information will help you deal with government agencies, financial institutions and, most importantly, will help you to ensure you don’t over-commit your resources. From a financial perspective, it is critically important to develop a strategy for ‘foreign exchange’ as foreign currencies can fluctuate significantly and can potentially wipe out any upside to your bottom line. According to Barry Fletcher, General Manager, at American Express FX International Payments, manufacturers have business priorities to attend to, which explain why FX payments are often treated as local payments, without taking advantage of favourable market conditions. Having a specialist FX provider can you help you monitor the market and ultimately protect your margins. Many innovative Australian businesses are finding success importing and exporting products and materials around the globe. Whether you are already dealing in foreign currency, or about to take your business global, an important consideration should be who’s managing your foreign currency transactions. After all, an FX provider who understands the complexities of the market and is in sync with what you’re trying to achieve, can support you and leave you to focus firmly on competing effectively in today’s global manufacturing markets. While the foreign exchange market can be complex, you can benefit by building a basic understanding of the market and how it impacts your trading options. Let’s look at some of the common terminology. Spots vs Forward Rates –The ‘spot rate’ basically refers to the current exchange rate, while the ‘forward rate’ is a contract to exchange two currencies at an agreed rate on a future date – this can be at a premium or discount to the current spot rate. For example, if your Australian business has agreed to purchase goods from a Japanese supplier, with payment due in Japanese yen (JPY) 30 days from now, fluctuations in the spot rate over the next 30 days could mean the goods end up costing you far more or far less than originally anticipated. A forward rate can be used as a financial tool to lock in that rate for payment on that future date. Hedging – You can’t predict the future, so to protect against spot rate fluctuations it is possible to take out a forward rate contract to lock in a future exchange rate for AUD to JPY. This process of protecting against future spot rate fluctuations is called ‘hedging’. Basically, hedging provides certainty by locking in your future costs, therefore allowing for better cash flow management. 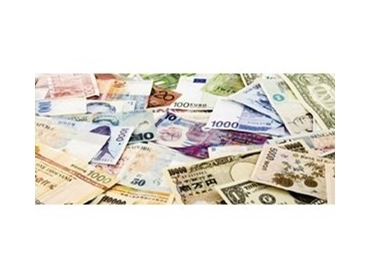 Limit Order – Limit orders are used to buy or sell an amount of foreign currency at a specified exchange rate. In the event the currency is trading at this ‘limit’ trigger point, the order will be executed. Stop Loss – A stop loss protects the value of your holding by establishing a low water mark, which represents the maximum you’re prepared to lose on the trade. If the value of your holding declines below this low mark, your holding is liquidated to ensure losses don’t increase. Click here to find out more about American Express Foreign Exchange Services.